The photographer, Nicole Heitzman, captured this image of a Missouri River beach scene just after sunset while camping. Camping is peaceful & relaxing for Nicole. Many outdoor enthusiasts love the activities involved on a camping trip. You can enjoy time soaking up the sun, fishing, watching the sunsets, viewing the stars & making memories while relaxing with friends and family by the campfire! 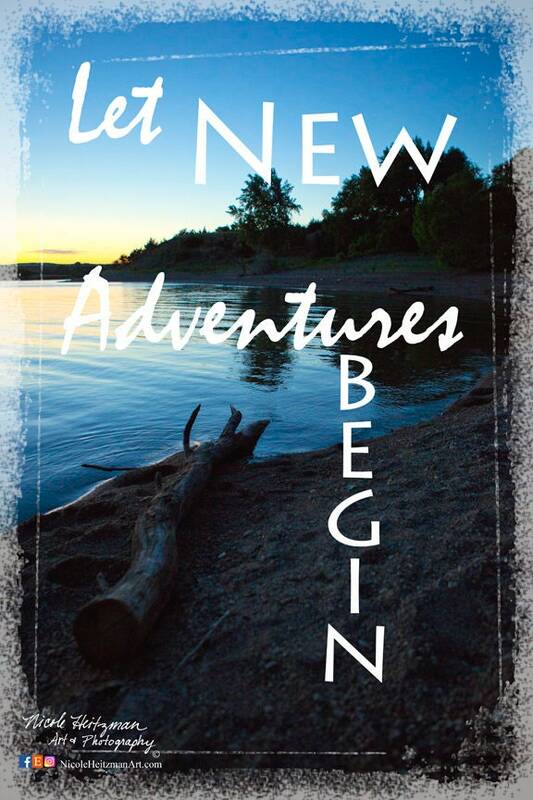 The quote on the image says "Let New Adventures Begin"
The image is 8" wide by 12" high and is mounted to masonite. If you would like to follow more of Nicole's photography adventures & progress as she works on her paintings, check out the following options.